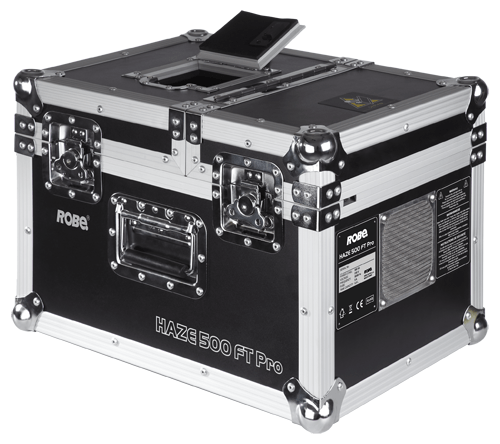 ROBE proudly unveils its latest Hazer – the HAZE 500 FT PRO™ – to the entertainment industry with great enthusiasm. This groundbreaking product is the result of extensive R’n’D in the field of haze machines, and has been developed following many years of experience and hard work. The performance of HAZE 500FT PRO™ is therefore second to none. It works spectacularly with laser beams and lighting effects to bring the best atmospheres to all events. HAZE 500 FT PRO™ is definitely the best choice for selective stage designers, performers, and audiences. Finally, the extraordinary low haze liquid consumption rate makes HAZE 500 FT PRO™ energy-efficient and environmentally-friendly. 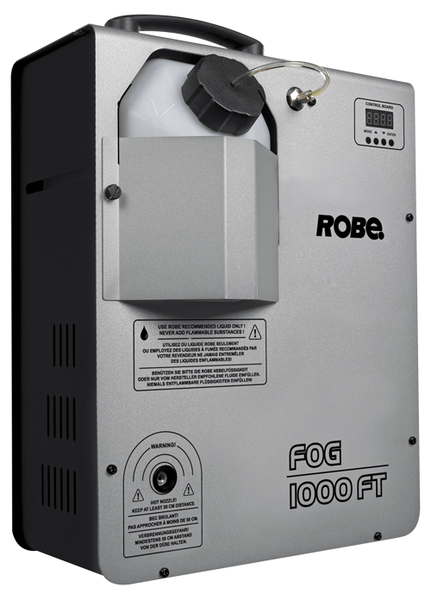 FOG 1000 FT™, is designed for special purposes and applications for which no other fog machines are available. It uses mirror-piping heater technology that supports advance features and high-throughput burst mode, with extreme low energy consumption. This unique design offers great versatility, and the machine can be mounted either on the ground with the output directed upwards to create a column effect, or can be wall mounted for easy blending in with the surroundings. It can also be used in the upright position via the carrying handle just like any standard fog machine. Onboard DMX or inbuilt electronic low fluid detector are amongst another features. Lightweight, sleek and compact design, easy installation and maintenance. FOG 1000 FT™ is perfect for theatrical and studio applications, large halls and spaces, concerts and touring, DJ events and clubs.